Looking for a challenge this New Year? Join the 70-Hour Mountain Challenge at Boyne Mountain! 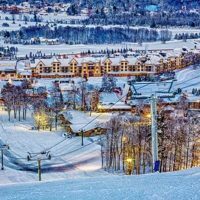 You read that right, to celebrate 70 amazing years, Boyne Mountain will be open for 70 hours straight to help raise money for Challenge Mountain. Ski as little or as much as you’d like, and win some awesome prizes for individuals and teams!